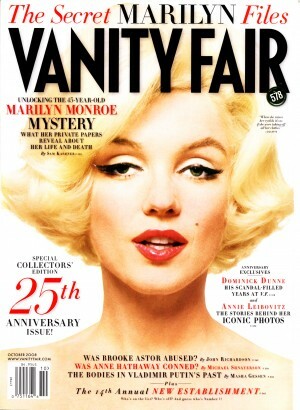 Marilyn Monroe, famous for her soft voice, ample curves , flawless face, to her pouty red lips. Not to mention her signature style white skirt, blonde hair and her beauty mark, left cheek mole. 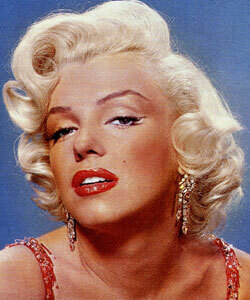 A true Hollywood bombshell icon at that time. her personal makeup artist Allan "Whitey" Snyder. He was her makeup artist throughout her career. From her first screen test at Twentieth Century Fox in 1946 to her funereal makeup in 1962.
to set makeup base and concealer. Loose powder preferable. 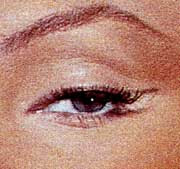 To achieve a bigger dolly eye, her makeup artist always use white kohl pencil inside her lower eye. to make the eye appear larger and more open. white eyeshadow or white kohl pencil. the smallest red dot is placed in the inside corner of the eye to make the eye look brighter. 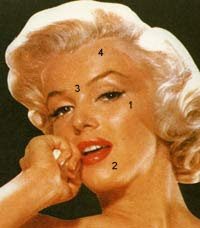 - and to the outer area below brow (1 & 2). 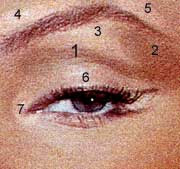 and in the corner of the eye (3,4,5,6,7). blot it with tissue, then fill them again with your red lipstick. finish it with lipgloss. 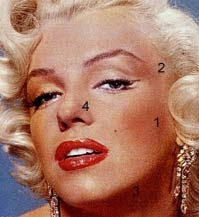 and don't forget to put little highlight at your cupid bow. they did same thing with those 14 step make up. bibirnya itu lhoo penuh banget..